A man is torn between loyalty to his dying wife and the passion he feels for another woman. While this sounds like the plot of a romance novel, it was Arthur Conan Doyle’s daily struggle for almost ten years. 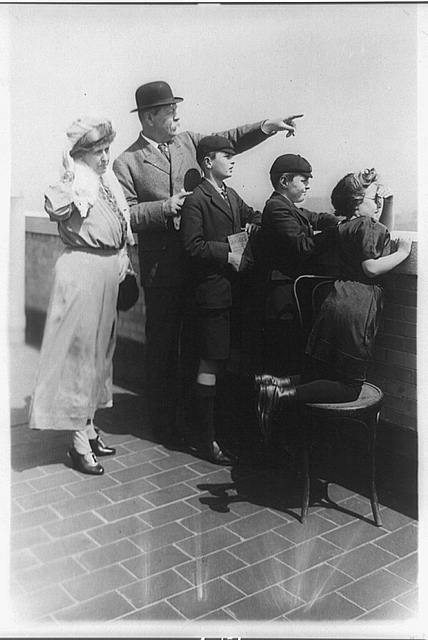 Conan Doyle’s mother told him tales of chivalrous knights and family honor when he was a boy. He took those stories to heart and throughout his life he was guided by those noble principles. It was no surprise then, when in 1885 he came to the rescue of the Hawkins family. Young Jack Hawkins was terminally ill with cerebral meningitis. Jack, his mother and his sister were about to be evicted from their lodgings because of Jack’s seizures. Conan Doyle, then a practicing physician, agreed that the entire Hawkins family should move into his home. Jack could be treated as a resident patient and the family would be able to stay together. Sadly, Jack’s case was so advanced that he only lived a short time after the move to Conan Doyle’s residence. However something wonderful did spring from the tragedy of Jack’s death. Louise, Jack’s sister, was impressed with the young doctor’s kindness and dedication. Conan Doyle was struck by Louise’s gentle and friendly ways. They fell in love and in a short time they were married. Their marriage was comfortable and congenial. 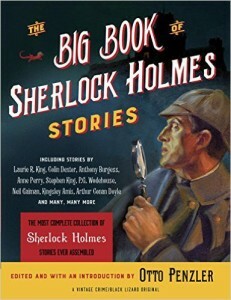 Together they had two children and enjoyed Conan Doyle’s blossoming literary career. Things changed drastically in 1893. 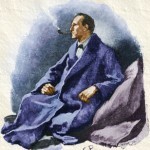 In that year Conan Doyle’s father passed away, Sherlock Holmes met his temporary end in The Adventure of the Final Problem and Louise was diagnosed with consumption. She was only given a few months to live. Consumption, today known as tuberculosis, had no known cure. However Conan Doyle was not going to let “Touie”, his nickname for Louise, go without a fight. Like a knight planning for a battle Conan Doyle examined his options. There was some evidence that people moving to the healthy climate of Switzerland showed improvement. Wasting no time, Conan Doyle arranged a move to Davos Switzerland. Louise’s health improved, but she and Conan Doyle found it difficult living so far away from their family and friends in England. Later they were very pleased to learn from Grant Allen, a novelist, that the air of Hindhead, Surry was just as beneficial as that of Davos. Conan Doyle wasted no time in having a home built in that area. In 1897 Touie and Conan Doyle returned to England and took up residence in their new home, Undershaw. However Conan Doyle’s life was about to take another dramatic turn. He would celebrate the events of March 15, 1897 for the rest of his life. On that day he met Jean Leckie and fell in love. No one knows how the couple came to meet. All that is known is that it was love at first sight for both of them. Jean was an accomplished horsewoman, a trained vocalist and single. 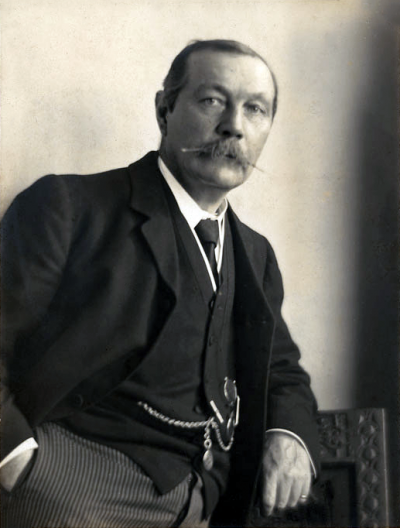 Conan Doyle was a doctor, a famous author and married. While he could not deny what he felt for Jean, his code of honor prevented him from acting on it. They couldn’t be together, but they couldn’t be apart. Conan Doyle loved Jean passionately, but he was fond of Louise as well. She was his wife and the mother of his children. She was a gentle woman and Conan Doyle couldn’t bear the thought of hurting her. Conan Doyle and Jean came to an unusual understanding. Theirs would be a platonic love. It would be a purely spiritual union. The most important part of the agreement was that Louise must never be hurt. She could never know about Jean. For years Conan Doyle and Jean carried on a relationship that was both open and secret. It was open in that Conan Doyle introduced Jean to members of his family. His mother was fully aware of the situation and even comforted Jean as she struggled to deal with the circumstances. The relationship was also a secret. Almost ten years passed between the day that Conan Doyle met Jean Leckie and the day that Louise died in 1906. Louise died not knowing about Jean. Louise had not been hurt. For Conan Doyle the days after Louise’s death were dark ones. He truly cared about her and he grieved her passing. Added onto that was the guilt he must have felt about his feelings for Jean and the stress of leading a double life for so many years. His health declined and he suffered from depression. However time and hard work cures many ills. In Conan Doyle’s case the hard work was clearing the name of George Edalji, who had been wrongly convicted of several crimes. 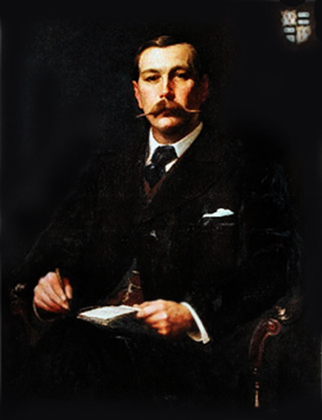 Conan Doyle’s efforts paid off and Edalji was found innocent of most of the crimes for which he’d been accused. Edalji even attend Conan Doyle’s wedding to Jean in September of 1907. The couple had three children. The marriage was a happy one and lasted until Conan Doyle’s death in 1930. Miss Morstan and I stood together, and her hand was in mine. A wondrous subtle thing is love, for here were we two who had never seen each other before that day, between whom no word or even look of affection had ever passed, and yet now in an hour of trouble our hands instinctively sought for each other. I have marveled at it since, but at the time it seemed the most natural thing that I should go out to her so, and, as she has often told me, there was in her also the instinct to turn to me for comfort and protection. So we stood hand in hand, like two children, and there was peace in our hearts for all the dark things that surrounded us. – The Sign of The Four by Sir Arthur Conan Doyle.